Let's be honest, this is the least interesting Proms season on paper for years, at least in terms of adventurous repertoire choices, following on the heels of the best in 2017. Yet in statistical terms it's more comprehensive and multi-media-friendly than ever, starting tonight with a free "Curtain Raiser" performance before the official First Night tomorrow - see David Kettle's choice below – and ending some 75 main Proms and 11 smaller-scale beauties later on 8 September. All are broadcast live on BBC Radio 3 and many televised. The conscious spotlighting of women composers, who have in fact been quietly active on the scene for decades - nothing much one can do about previous centuries of sidelining and neglect - seems to be the only big gambit; whether that pays off, only the quality of the new works will show. There still aren't enough women conductors when now there could be (one visitor who offered highlights in the past two years, Mirga Gražinytė-Tyla, is on maternity leave). But certainly the star visitors are here in abundance, with the Berlin Philharmonic/Kirill Petrenko and Boston Symphony/Andris Nelsons dream teams to be heard on the same day. And they may well deliver the goods in familiar masterpieces - that's the special, unpredictable magic of the Proms, with the capricious acoustics of the Royal Albert Hall serving up unexpected gains as well as losses. Our classical and opera team picks its top choices, two per person. Bernstein features the most in his centenary year; and if there are duplicate recommendations (Theodora, On the Town, Mahler 8), so be it. Alongside their extraordinary democracy – turn up, pay the lowest price (£6) for a place in the Arena and get the best sound in the hall – my favourite thing about the Proms is that it encourages audiences to be adventurous. I’m going to hear Sibelius expert John Storgårds conduct my favourite symphony, Sibelius’s Seventh (Prom 14, 24 July), but am equally fascinated to hear it accompanied by another single-movement work I’ve heard about but never actually heard: Bernd Alois Zimmerman’s Symphony in One Movement… plus some Wagner and Schubert thrown in. Total bargain. Brimming over with yearning harmonies and punctuated by stabbing rhythms, the music of Leonard Bernstein is so idiosyncratic it’s instantly recognisable even in works you’ve never heard before. There's so much at the Proms in his centenary year, but I plump for John Wilson (pictured above by Sim Canetty-Clark) conducting his own orchestra in West Side Story (Prom 39, 11 August). If I had to choose only one Bernstein musical in this anniversary year, it’d be On the Town (Prom 57, 25 August): the exuberant wartime comedy in which the composer's youthful inspiration exploded onto Broadway for the first time, striking sparks off Comden and Green’s lyrics, and finding – amidst all the urban energy and screwball humour – a big, tender heart. No living conductor is better equipped than Wilson to unleash all that electricity and joy, and while it’s a pity we couldn’t hear him conduct On the Town with his own extraordinary orchestra, the LSO is a very passable next-best-thing. Vasily Petrenko and the Royal Liverpool Philharmonic Orchestra (Prom 62, 29 August) have been racking up awards in Russian music for a dozen years now, but this partnership’s fabulously red-blooded way with late-Romantic repertoire from further west is still a bit of a Merseyside secret. Strauss songs with Diana Damrau (pictured below by Jiyan Cheng) are self-recommending, and if Petrenko and the Phil’s Shostakovich is anything to go by, Bartók’s Concerto for Orchestra will probably make our hairs stand on end. As for Iain Bell’s Aurora: well, Bell is a composer who knows how to write colourfully for orchestra. He isn’t afraid of big gestures, either. This new three-movement “concerto” for Damrau and the RLPO might fit right in. Theodora (Prom 74, 7 September) is the best opera Handel never wrote. It may technically be an oratorio, and may centre on the fates of two early Christian martyrs (stick with me here) but Theodora is a vividly, overpoweringly dramatic take on love, duty, faith and the forces that compel us all. Handel’s humanity is rarely expressed with as much care and insight as he musters here in this late work, which may be frequently and successfully staged, but whose drama is still perhaps best played out in imagination. 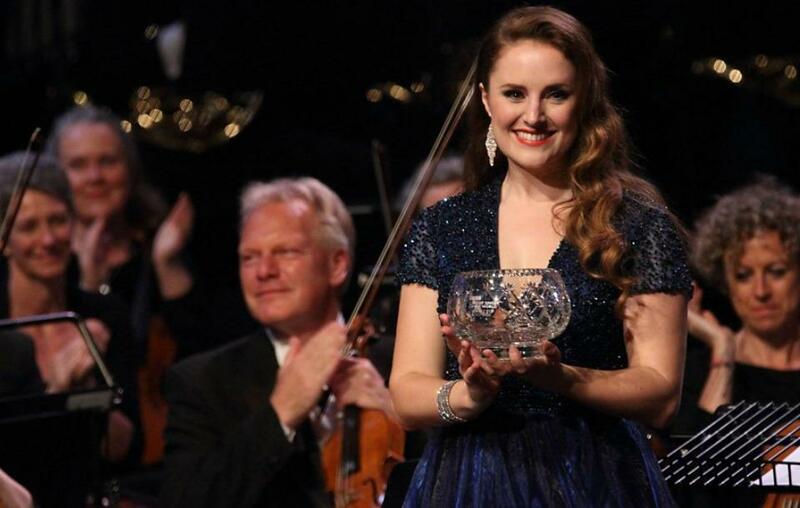 If the music alone isn’t persuasion enough (and from “Angels ever bright and fair” to exquisite duet “To thee, thou glorious son of worth” this is Handel at his best), what about a cast led by soprano Louise Alder (pictured below by Brian Tarr receiving the Audience Prize at last year's BBC Cardiff Singer of the World Competition) and countertenor Iestyn Davies as lovers Theodora and Didymus, with Benjamin Hulett as Septimius and Ann Hallenberg as Irene? Jonathan Cohen conducts his period ensemble Arcangelo in what promises to be the early music highlight of the 2018 Proms. Otherwise, there’s not a lot of opera on offer this year, so seize this opportunity to hear Simon Rattle and a seriously starry cast perform Ravel’s utterly delightful one-acter L’enfant et les sortilèges (Prom 48, 18 August). A libretto by Colette tells the story of a naughty little boy who gets his come-uppance in true fairytale fashion before finding redemption, and includes a clock and a teapot as well as a whole menagerie of animals. Magdalena Kožená is the Child, with Patricia Bardon as Maman, and Anna Stephany, Jane Archibald and Elizabeth Watts also in the large cast. The Prom also includes Ravel’s ravishingly beautiful ballet Mother Goose as well as his song-cycle Shéhérazade, with Kožená as soloist. Bruckner and Mahler are Proms regulars, both providing symphonies that match the Albert Hall for scale. Both have multiple works performed in this year’s festival, but two stand out in particular. In Prom 11, 22 July, the BBC National Orchestra of Wales presents the (relatively) rarely heard Mahler Symphony No. 8, a performance that promises to be as dynamic as it is grand under their Principal Conductor Thomas Søndergård. In Prom 56, 25 August, the BBC Symphony Orchestra perform Bruckner’s Fifth Symphony. They too have a lively and engaging Principal Conductor in Sakari Oramo. His Bruckner performances with his previous orchestra, the Stockholm Philharmonic, were much praised, so this too promises to be an evening to remember. A programme of Fauré’s Pavane in its original choral version (without a football in sight), Mozart’s final Piano Concerto, the B flat major K595, and the complete Ravel Daphnis et Chloé: I’ve chosen Prom 2, 14 July, simply because, try as I may, I can’t think of a more heavenly line-up of music to listen to on a summer evening, or indeed any other time. The Fauré’s words are worth noting if you’ve not come across them before: a Watteau-esque pastorale in somewhat flirtatious mode, giving the lie to the dirge-like interpretations this delicate piece so often receives when it shouldn’t. Francesco Piemontesi’s Mozart is always a treat, supremely polished and poetic, and Alain Altinoglu – whom I’ve heard before mainly in opera – is rapidly emerging as one to watch. It’s not before time that the Proms has awarded a commission to Roxanna Panufnik (pictured above), who celebrates her 50th birthday this year. Her new choral piece to open the Last Night (Prom 75, 8 September), Songs of Darkness, Dreams of Light, combines a poem by Isaac Rosenberg with words from The Prophet by Khalil Gibran; it will be a treat and a half to hear her characteristically rich, scrunchy, conflict-laden harmonic language raising the roof in the Royal Albert Hall. The evening also brings us Jess Gillam, the glorious young saxophone star from Cumbria, and the persuasive baritone of Gerald Finley. I can’t say I’m much looking forward to the jingoism as we hurtle towards national self-destruction, but I’m sure I won’t be the only one wielding a European flag. New music takes centre stage throughout much of this year’s Proms, and I’m particularly intrigued to hear (Proms 29 and 30, 5 August). 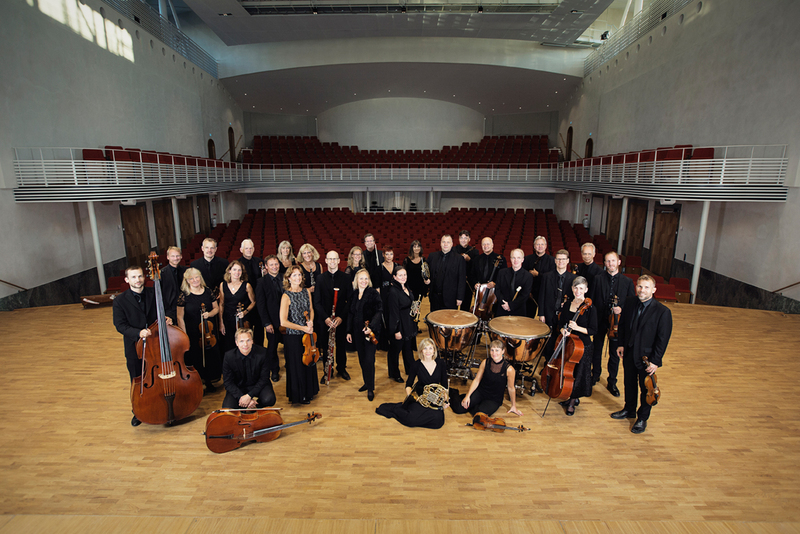 They feature performances of all six Brandenburg Concerti over 2 nights, interspersed with specially commissioned companion pieces, played by the Swedish Chamber Orchestra (pictured below in their home-base concert hall in Örebro) under Thomas Dausgaard. Although, disappointingly, the Proms’ gender equality promise isn’t at all reflected here, with only one of the composers on the bill a woman, it will be interesting to hear such a variety of contemporary works juxtaposed with J S Bach’s timeless masterpieces. I’ll try to avoid being too politically contentious, but it will be bittersweet to hear the European Union Youth Orchestra (Prom 49, 19 August) on the Proms stage in what could potentially be one of their last performances with British players. Gianandrea Noseda will lead the orchestra though the UK premiere of singer and composer Agata Zubel’s Fireworks, before the young South Korean pianist Seong Jin Cho makes his proms debut with Chopin’s second piano concerto. Culminating with the rich romanticism of Tchaikovsky’s Fifth Symphony, this is a performance sure to be full of emotion and youthful energy. My highlight of the Proms season comes near the start. Prom 4, 16 July, features Mark Simpson, better known perhaps as a composer, appearing as soloist in Magnus Lindberg's soaring, life-affirming Clarinet Concerto. Conductor Juanjo Mena and the BBC Phiharmonic follow that with Shostakovich's Seventh Symphony. Our opera and classical music editor David Nice will be in conversation about the "Leningrad" with Anastasia Belina and Petroc Trelawny in a Proms Plus talk before the concert in the Imperial College Union; an edited version of the talk will be broadcast on BBC Radio 3 during the interval. Towards the end of the season, Prom 65, 31 August, features three 20th century classics: Ravel's La Valse, Berio's Sinfonia and Stravinsky's The Rite of Spring, with Semyon Bychkov conducting the BBC Symphony Orchestra and London Voices. I would go just to hear any one of these, so all three together should be a treat. The BBC Proms kicks off a day earlier (so to speak) this year, with a "Proms Free Curtain Raiser" to the official First Night of 13 July. The brand new, First World War-inspired Five Telegrams by Anna Meredith gets an outdoor pre-premiere, together with projections, animations and lighting on the exterior of the Royal Albert Hall from visual effects wizards 59 Productions. It’s a collaboration with the Edinburgh International Festival – and indeed gets a repeat airing to kick off the Scottish capital’s crazy cultural jamboree on 3 August. These outdoor audio-visual extravaganzas have been a permanent fixture of Edinburgh festivities since 2015, but with its specially commissioned music, and its gargantuan orchestra and chorus, Five Telegrams looks set to be something pretty special – if it’s anything like what we’ve seen in Edinburgh for the past three festivals, you Londoners are in for a treat (pictured below: BBC preview image of the event). Once thoroughly immersed in Baroque and Classical music – as associate director of the Academy of Ancient Music, then artistic director of the English Concert – in recent years Andrew Manze has made English music something of a speciality, not least in an illuminating Vaughan Williams symphony cycle with the BBC Scottish Symphony Orchestra. The London connections between the two symphonies in Prom 22, 31 July – Haydn’s No. 104 and Vaughan Williams’s No. 2 – might not stand too much scrutiny, but it’ll nevertheless provide an opportunity to sample both sides of Manze’s work – and to hear how (and indeed if) he brings his renowned period credentials to bear on the versatile BBCSSO. If there's any respect in which this year's Proms season is going where no previous one has gone before, it would have to be in the fabulous celebration of BBC Young Musician's 40th anniversary - a chance to applaud not only the unbelievable standards reached by youth in the past few competitions, but also the long-term careers so many winners (and indeed finalists who didn't take the top prize) have sustained over the decades. From the likes of clarinettist Michael Collins, violinist Nicola Benedetti and oboist Nicholas Daniel to cellist Sheku Kanneh-Mason (pictured below by Lars Berger), saxophonist Jess Gillam and - we presume, though of course the prospectus went to print before she stormed her way to victory in an incredible performance of Prokofiev's Second Piano Concerto - Lauren Zhang, Prom 3, 15 July, should be a stunning feast. Expect lots of fun; from talking to Martin James Bartlett and Lara Melda at the launch party earlier this summer, I know that they'll be pointedly fumbling Pianists in Saint-Saëns's Carnival of the Animals. And three new BBC commissions will also be on the programme. Now that the Lucerne Festival Orchestra is just another fine superband after the death of the inspirational Claudio Abbado, the torch has passed to an unexpected contender, formed of top Estonian musicians and leading players from western orchestras in the adorable seaside town of Pärnu. The driving force here is Paavo Järvi, for whom these players burn, and he’ll be bringing them here for Prom 42, 13 August hotfoot from this year’s festival (my fourth, and absolutely my favourite in the world thanks to its special friendliness and electricity). The composite showcase from their two Pärnu programmes this year begins with Arvo Pärt’s Third Symphony, the UK premiere of which Paavo’s father Neeme so memorably gave with the Gothenburg Symphony Orchestra in a 1989 Prom, features the fiery if sometimes wayward Khatia Buniatishvili in Grieg’s Piano Concerto and ends with Sibelius’s Fifth Symphony. If that's anything like the same team’s Sibelius 2 in Pärnu last year, it will set the Royal Albert Hall on fire. Expect an unusual encore or two. Leonard Bernstein’s 1944 musical On The Town contains some of his best tunes, matched with sparky lyrics from Betty Comden and Adolph Green (Prom 57, 25 August). “Some Other Time”, heard just before the three sailors prepare to return to their warship 24 hours after landing in New York, usually reduces me to tears. John Wilson’s semi-staged musicals are a treat, and it will be interesting to hear him working with the LSO instead of his usual hand-picked band. Bernstein conducted the belated first performance of Charles Ives’s Second Symphony in 1951. The ageing composer listened in on the radio and apparently wasn’t too impressed by what he heard, though Bernstein’s subsequent recordings of this symphony, a joyous blend of 19th century romanticism and brash Americana, are both classics. Osmo Vänskä conducts his Minnesota forces in a programme which also includes the Candide Overture and Gershwin’s Piano Concerto (Prom 31, 6 August). What will Vänskä do when he reaches the symphony’s ear-splitting final chord? I’ll be tuning in to find out. I got to know Franz Schmidt’s Fourth Symphony of 1932-3 from a Vienna recording conducted by Zubin Mehta. And I just love it for its unified sweep: nearly three-quarters of an hour of deeply affecting, lushly chromatic lyricism. It hasn’t been performed at the BBC Proms for twenty years. In Prom 66, 1 September, the Berlin Philharmonic under Kirill Petrenko will show what an emotionally powerful piece it is. Get away from the chronological snobbery. The fact that the symphony was written two decades after Pierrot Lunaire isn’t any reason to nix it. Schmidt (pictured right) had been Mahler’s favourite cellist when the latter was directing the Vienna Opera – listen for the central elegaic cello solo. The Fourth Symphony was written as a requiem for the composer’s daughter who had died in 1931 in childbirth. Further reading into Schmidt’s life only reveals more tragedy. Heart-rending stuff. Take the Kleenex. My must-sees also include Ivan Fischer and the Budapest Festival Orchestra and Iván Fischer. I reviewed a magical Festival Hall concert in 2017 where they explored the gipsy heritage by bringing the inimitably charismatic Márta Sebestyén over here. Prom 55, 23 August, has more in a similar vein – with violinists József Lendvay Sr and Jr, and Jenő Lisztes , who is in his early thirties, and definitely sounds to me like the Shura Cherkassky (or Oscar Peterson) of the cimbalom. That Lenny Bernstein conducted me once… Yes, really, when he barnstormed through Mahler’s Eighth, the mighty "Symphony of a Thousand", at the RAH in… can I please not mention the year? I was one of the smallest of the Thousand, as a boy singer with the Finchley Children’s Music Group (back again, as ever, at this year’s Proms). The subsequent recording still divides critics, although one (probably just the one…) thinks it “one of the greatest recorded Mahler performances”. But I do remember that Bernstein the great encourager made time to listen to, and to guide, the children’s choruses. Since then I’ve had a soft spot for the absurd, magnificent behemoth of the Eighth, and will look forward to keenly to hearing how it sounds in Prom 11, 22 July, with the BBC National Orchestra of Wales under Thomas Søndergard. The fine battery of soloists includes Christine Rice, Tamara Wilson (pictured below by Chris Christodoulou in last year's Verdi Requiem at the Proms), Simon O’Neill and Morris Robinson. This time the Southend Boys’ and Girls’ Choirs supply the juvenile cannon fodder. They won’t quickly forget it. I never saw it live, but from the recording I can see why so many people still swoon over William Christie and Peter Sellars’s 1996 Glyndebourne version of Handel’s 1750 oratorio Theodora. Above all (and, yes, I’m the millionth person to say this), the late Lorraine Hunt Lieberson’s Irene is a performance to sear the soul. Having proved last summer, with Christie’s dynamic and dramatic Israel in Egypt, that Handel oratorio can succeed, even excite, at the RAH, the Proms have rounded up a superb cast for this new Theodora (Prom 74, 7 September) : Louise Alder, Iestyn Davies, Ann Hallenberg. Jonathan Cohen conducts Baroque specialists Arcangelo. Handel’s setting transforms a glutinous fable of Roman persecution and Christian martyrdom with its music of tragic loveliness. Famously, Sellars relocated Theodora to Death Row, amid the lethal injustices of the US prison system. But with forces this strong, it should hardly need any heavy interpretative hand. By far the most desirable Prom for me this year is the concert performance of Debussy's Pelléas et Mélisande from Glyndebourne (Prom 5, 17 July). I won't get to see it in situ, but in any case it's an opera for which I'm happy to shut my eyes, listen and imagine, with Robin Ticciati in charge of a strong-looking cast.